A wind energy structure in the North Sea lost its main turbine housing earlier this year, prompting engineers to determine that all 206 units of this size in the sea might need to be examined and refitted. The North Sea is the most violent wind and current area to have giant turbine farms in trouble like this, but other regions are having maintenance problems as well. The role of predictive maintenance in design engineering for these giant pieces of infrastructure jumps up the importance ladder every time a customer adds megawatts to the overall scheme. Monitoring wind shear, temperature in the sea/air, wind speed, torque and vibration are now just the tips of the iceberg. Every design must include instant and early warnings about bearing temperature, housing integrity and wiring, above and below the waterline. Internet-connected safety systems have become standard in cars, trucks and aircraft, and a lot of funding for interconnected systems is included in development of autonomous traffic. Fail-safe systems engineering is part of the R&D budget for every new model. Electrical engineers build safety into the most basic apparatus; the more complex the system, the more it needs secure information. In an article about better connected maintenance, the author explains the importance of redundant systems in industrial networks connected to the most remote structures, like North Sea turbines. Every designer needs to combine early warning, security and responses like shutouts/shutoffs in new turbine designs. Maintenance strategies have always been designed as routines. These routines need upgrading, but the more aggressive approach is to add an active warning apparatus. The best systems now combine the ability to optimize performance and better predict maintenance needs. The system is both fast and powerful. "The platform’s unique ability to analyze terabytes of data with sub-second response times further improves our ability to generate significant value from our IoT applications," the article said. Every wind turbine in operation under this study has more than 150 sensors checking speed, weather, vibration and acceleration (deceleration). The network for extreme environments must work in both directions. It must transmit from the sensor or probe out through a protected mainframe, to the emergency board location. The resulting decision about a shutdown must be transmitted back through the a network. The response to overheating, for example, could be a shutdown or slowdown. In each incident, the more data that can be collected, the better the network can "learn" how and how not to proceed. Machine learning that starts with the safety of the equipment as top priority will adjust to circumstances. Examples of this type of industrial software learning are everywhere. Common mentions are of autonomous cars (probably the most newsworthy example today), fraud detection, robotics, and social networking. Algorithms abound for drilling down to the most remote details of an electronic trail. The lessons learned from tracking and troubleshooting systems based hundreds of miles away in an angry sea will help design safety into smaller turbine farms. Most utilities have plans for wind and solar but are still concerned about costs, safety and support. There are many examples of companies now designing for the future. Countries that seemed less concerned about wind and solar development a few years ago are now investing heavily. An example is Turkey, which has garnered $12 billion in investment in wind over the last 11 years. The country’s generated output in 2007 was 146 megawatts; last year, the wind power farms generated a reported 6,500 megawatts. In an industry that multiplied out 50 times in 11 years, maintenance and better monitoring will be essential. 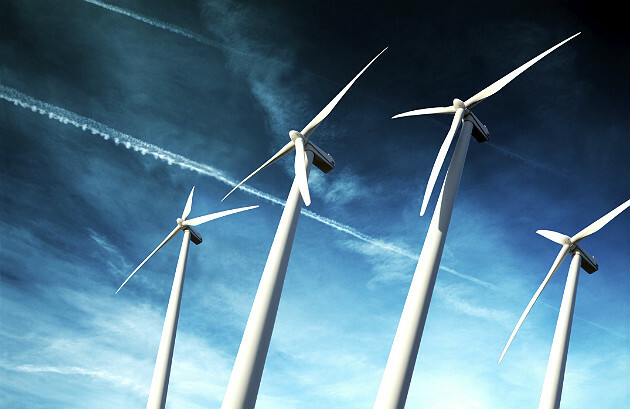 Turkey is far from alone in growing wind power by factors of 10. The interconnected world runs on energy; the energy of the future will be interconnected, too. Wind can be a very big part of that picture if hardware makers can guarantee its wireless electronic instrument needs are met, too.